I feel silly even saying this, but let me preemptively say, if you can’t find the humor in this post, the sheer ridiculousness of it, then please don’t comment on it. Yes, these are actual instances in which parents contacted me, or administration, about something that went down in my art room. No, I am not a bad, evil, horrible, child-hating person. I am not a bad teacher. What are some ridiculous reasons you’ve received emails or phone calls from parents? Stay up-to-date on all Art Teachers Hate Glitter’s posts and follow ATHG on Bloglovin’. I don’t mean to alarm you, but art show season is nearly upon us. I know, I know, it always sneaks up on me too. 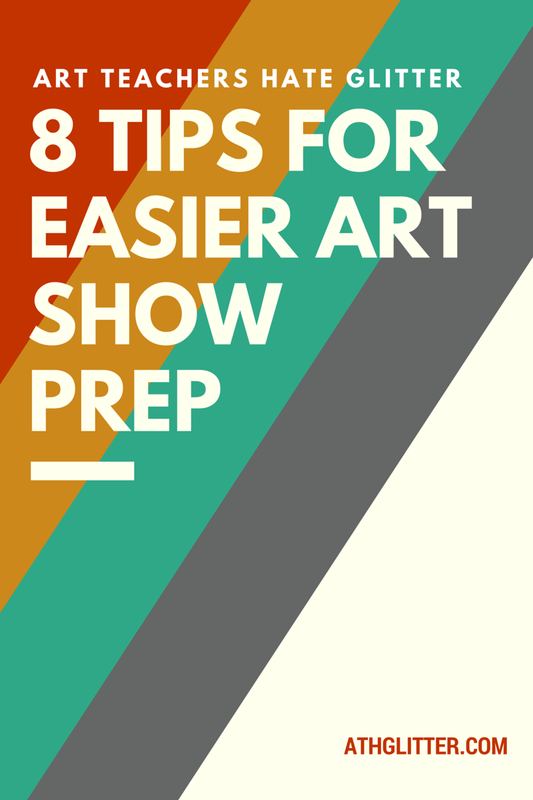 Most likely, you have your art show prep routine down pat, but for the sake of this post, let’s pretend you’re more like me. I always find myself, a week or two before the show, scrambling to not only prep work, but to find enough work to put in the show. This year is going to be different. This year I devised a plan to make life easier for me when it is inevitably brought to my attention that the art show is only one week away. Portions of this post previously appeared on Art Teacher Hate Glitter on January 26th, 2011. You’ve stayed up late, watching TV. Finally, you turn off the lights and settle into bed for the evening. Alas, sleep won’t come. You’re tossing and turning. Your mind is racing and your nerves are firing. “What if it doesn’t happen?” you think. “What if it’s not what I expected?” you wonder. “What if…” but you’ve finally drifted off. As children, we all looked forward to snow days. We stayed up late, watched the snow, urged it to fall faster and heavier, and wished for a snow day with all our might. We woke up early, turned on the radio (yes, the radio), waited with bated breath to hear our school’s name announced, and we cheered when they finally cycled back to the “B” schools and we heard what we’d been waiting our whole entire life for, a snow day. As a teacher, eh, not much has changed, except now we wait for the phone to ring, or the chiming of our email. Gotta love a snow day, amiright?